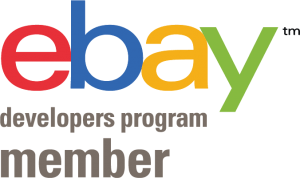 eBay Certified Application, Fully Integrated to eBay! Ad-lister is a 100% certified application providing fast and secure access to eBay for managing your products and eBay listings with our dedicated integration, this means that you can perform bulk tasks and maintain branding across all your products very quickly. Multiple user access allows you and your team to save time and money by working with a single application and maintaining a consistent style across your eBay listings, this is achieved by creating new products within Ad-lister and then preview how your item will be prior to listing it on eBay to ensure your item meets your high standards. eBay certified applications such as Ad-lister require strict guidelines to ensure your account remains safe, our secure token system ensures that your eBay account login details remain unknown! You grant us access to the system from your eBay account which can be revoked at any time, we never know or store your eBay password. Your eBay secure token has a lifespan typically of 2 years enhancing the security one step further, new tokens can be generated when you start the trial or from within the application at any time.